Designer Maire Forkin prides herself on creating high quality, well-tailored designs that are both chic and classic. Known for her emphasis on structure and building shape without corsetry into a silhouette, her origami shapes and stylines has a unique style all of its own. Maire’s forte is making any size or shape look good! Not all women are the same shape and size so, not all of us look our best in standard sizing. Maire maintains however that a woman can look exceptional in a well designed tailor-made outfit to suit their figure. For many years she has provided a tailored made-to-measure service for women. She understands the importance of flattering a woman’s silhouette, and her clients can choose from a range of styles, fabrics and colours to suit their individual requirements, or get a completely new creation designed. 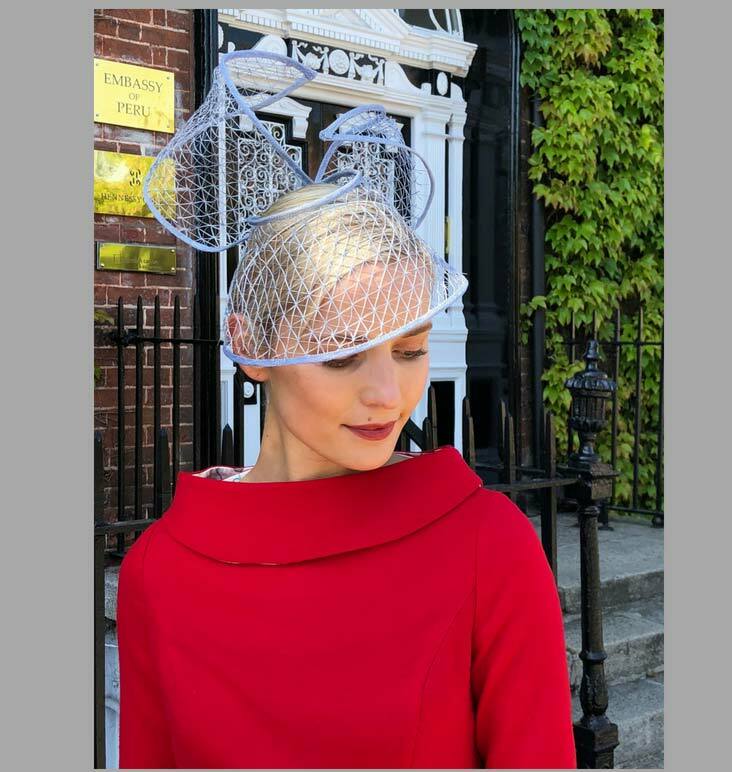 Maire makes contemporary Mother of the Bride and Groom outfits for ladies in both the UK and Ireland, dresses, two pieces outfits, coats and dresses and capes made specifically for each client to best flatter their individual silhouette and style. Her collection can be viewed exclusively by appointment at her studio in Dublin.